Ctra. 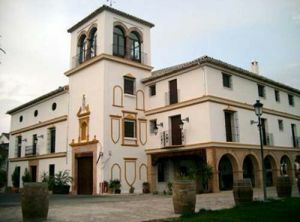 Cordoba, km 120, 29200 Antequera, Spain. Hotel Finca Eslava is one of those places full of charm where all the Andalusian romanticism with its colourfull patios and the scent of flowers meet. It is a tipical Andalusian house from the 18th century, totally refurbished, that offers 30 rooms with an exclusive decoration making them an obliged stop for the traveller. The hotel has a renowned restaurant, indoors swimming pool, gym, jacuzzi and sauna. Wedding banquets take place in the hotel at weekends during the months of June, July, August and September until late at night, therefore there can be a bit of noise. Notice: 1. Only the Suites have Jacuzzi. 2. The sauna is currently under reconstruction. 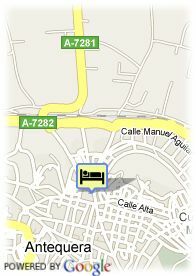 For older children and adults 21.40 € for each additional bed is charged.